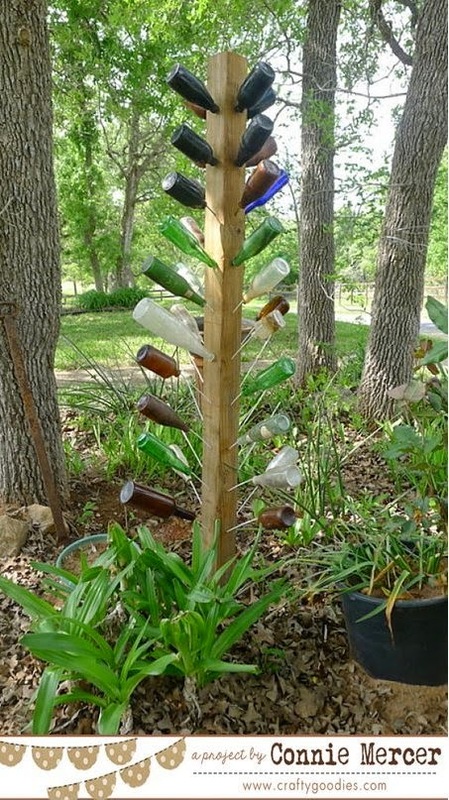 crafty goodies: Try It Tuesday~Our Bottle Tree!!!! Fun! You make happy news Connie. . . hope this is returned over and over again! This is JUST AWESOME!!!! And perfect for Earth Day!! Can't wait to hear the good news!!!!! I love the bottle tree. Now I can get my hubby to make one. I love Randys design! Whats the happy news? Love you Connie! what a fun idea.. can't wait to hear your happy news.. I love bottle trees and yours is perfect! I think I need to ask for one for Mother's Day! Oh, Connie! This is amazing! Love it!